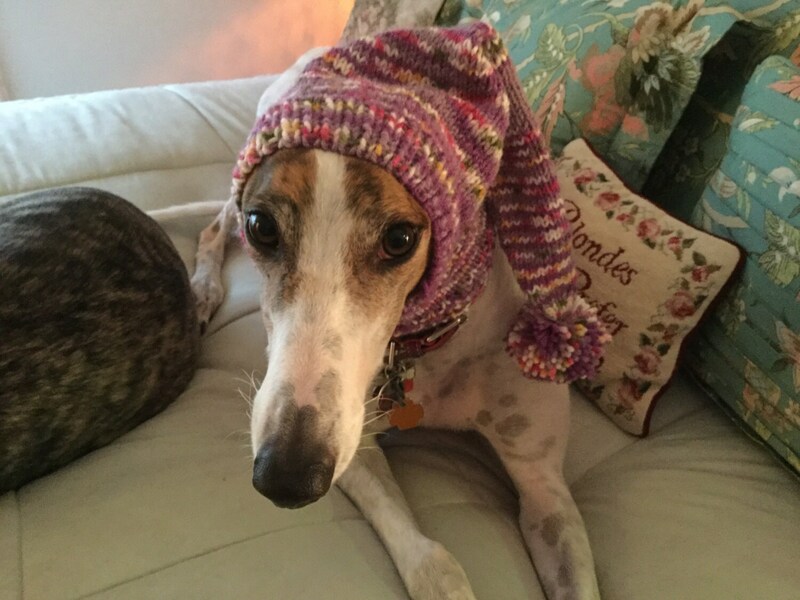 Your hound will look adorable and stay warm in this beautiful knitted hat with snood and long tail with Pom Pom. 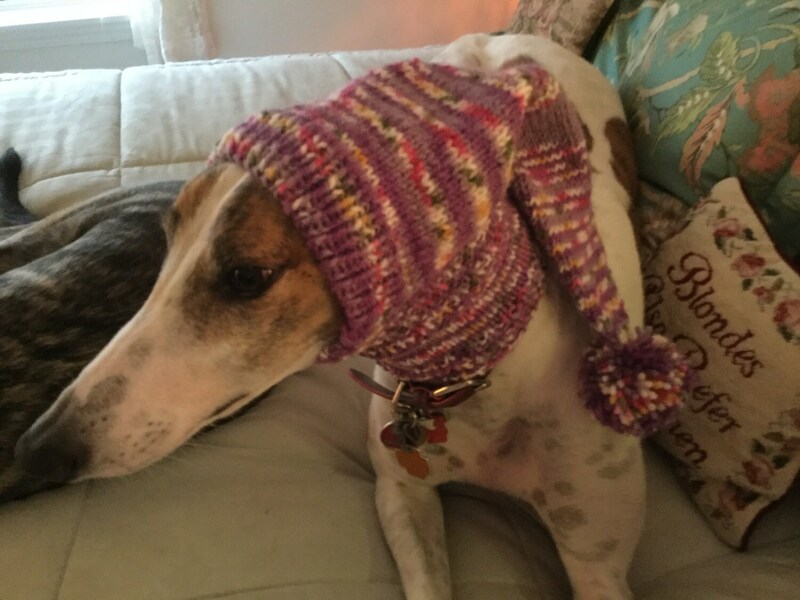 It is made from a washable blend of acrylic and wool. 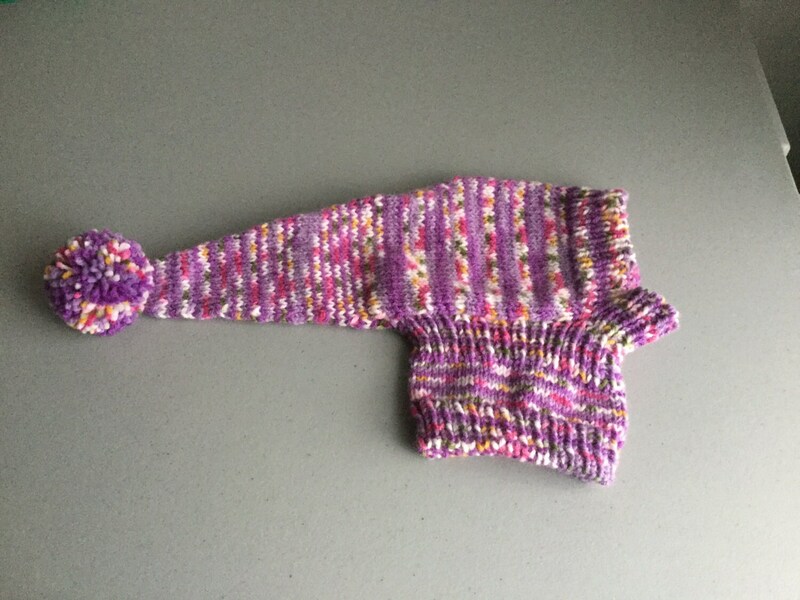 This is a self patterning yarn that works up in a fair isle type of pattern. The color is Purple Hurple and is light and medium purple stripes alternating with patterned sections of pinks, greens, gold and white. 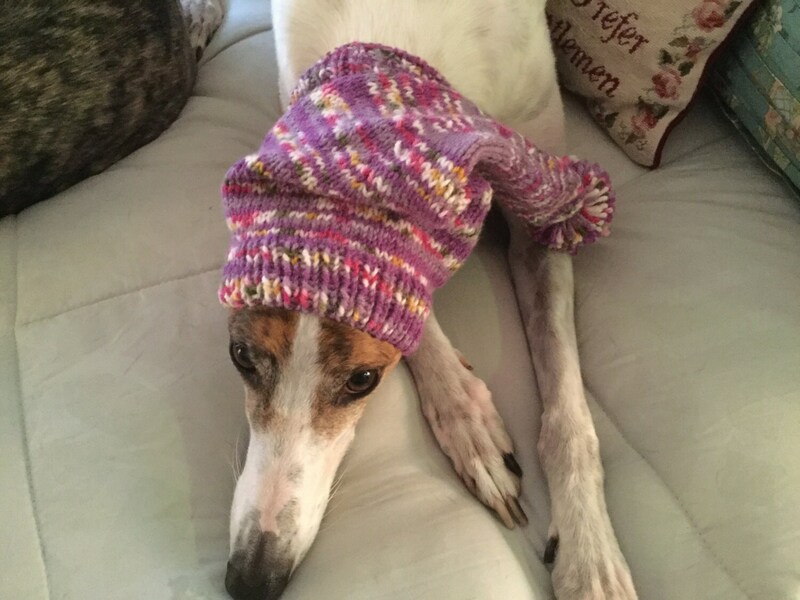 The hat is made for small to medium sized sighthound. 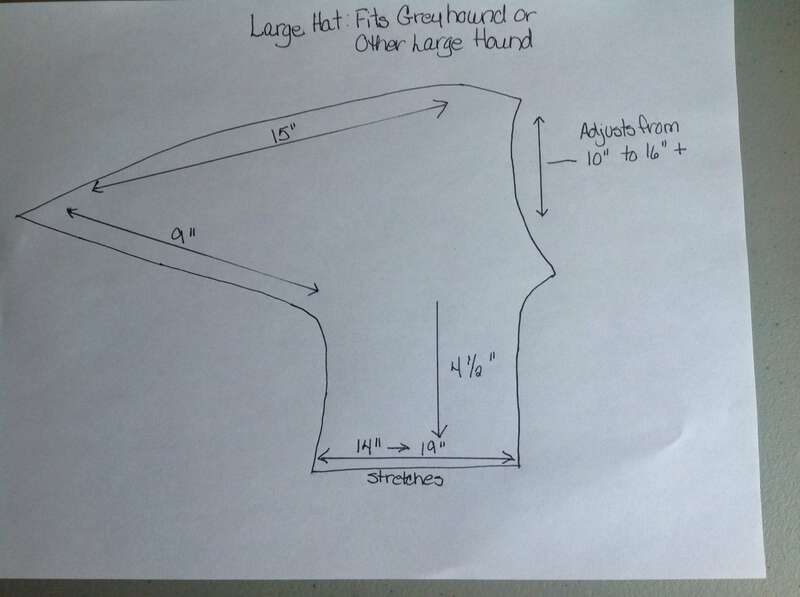 Our model is Angel who is a female weighing about 57 pounds. Her head circumference is 14 inches.